[vc_row fullwidth=”false” attached=”false” padding=”0″ visibility=”” animation=”” bg_type=”” parallax_style=”” bg_image_new=”” layer_image=”” bg_image_repeat=”” bg_image_size=”” bg_cstm_size=”” bg_img_attach=”” parallax_sense=”” bg_image_posiiton=”” animation_direction=”” animation_repeat=”” video_url=”” video_url_2=”” u_video_url=”” video_opts=”” video_poster=”” u_start_time=”” u_stop_time=”” viewport_vdo=”” enable_controls=”” bg_override=”” disable_on_mobile_img_parallax=”” parallax_content=”” parallax_content_sense=”” fadeout_row=”” fadeout_start_effect=”” enable_overlay=”” overlay_color=”” overlay_pattern=”” overlay_pattern_opacity=”” overlay_pattern_size=”” overlay_pattern_attachment=”” multi_color_overlay=”” multi_color_overlay_opacity=”” seperator_enable=”” seperator_type=”” seperator_position=”” seperator_shape_size=”” seperator_svg_height=”” seperator_shape_background=”” seperator_shape_border=”” seperator_shape_border_color=”” seperator_shape_border_width=”” icon_type=”” icon=”” icon_size=”” icon_color=”” icon_style=”” icon_color_bg=”” icon_border_style=”” icon_color_border=”” icon_border_size=”” icon_border_radius=”” icon_border_spacing=”” icon_img=”” img_width=”” ult_hide_row=”” ult_hide_row_large_screen=”” ult_hide_row_desktop=”” ult_hide_row_tablet=”” ult_hide_row_tablet_small=”” ult_hide_row_mobile=”” ult_hide_row_mobile_large=””][vc_column border_color=”” visibility=”” width=”1/1″][vc_column_text disable_pattern=”false” align=”left” margin_bottom=”0″]The world would be so much easier if all dogs were friendly, docile and cuddly. 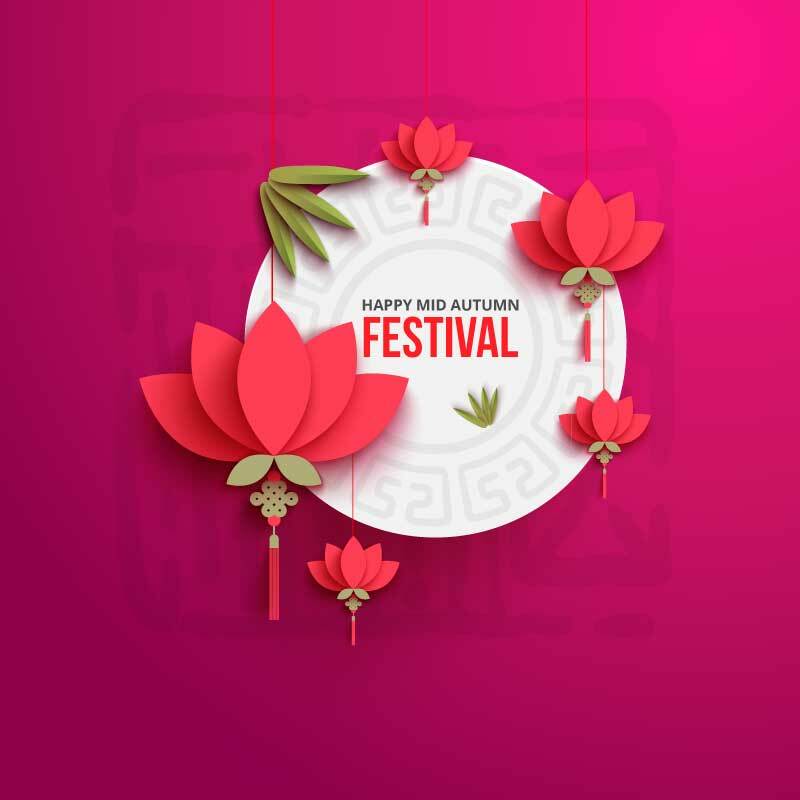 [/vc_column_text][mk_gallery images=”4172,4174,4173″ style=”grid” column=”3″ image_size=”full” height=”500″ hover_scenarios=”none” item_spacing=”8″ margin_bottom=”20″ frame_style=”simple” disable_title=”false” image_quality=”1″ pagination=”false” count=”10″ pagination_style=”1″ order=”ASC” orderby=”post__in” item_id=”1443767867-560e263badcc8″][vc_column_text disable_pattern=”false” align=”left” margin_bottom=”0″]The reality is – they are not all like that. By virtue of their birth, experiences and environment, many stray or homeless dogs develop issues related to health, fear, insecurity, territorial or food aggression. We can’t be said to have “rescued” them until we deal with these problems. It often takes time, kindness and neverending well of patience before these dogs can overcome these issues. Then only, will they be ready for a home. 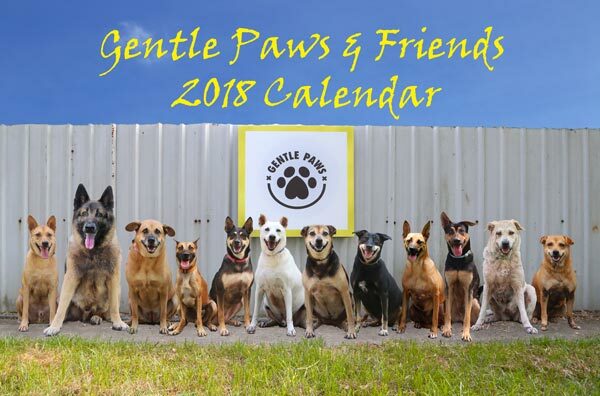 In Gentle Paws 2016 calendar, we feature twelve of our more difficult dogs and share the stories of just how far they have come. We are a small, privately run shelter with limited fund raising options. 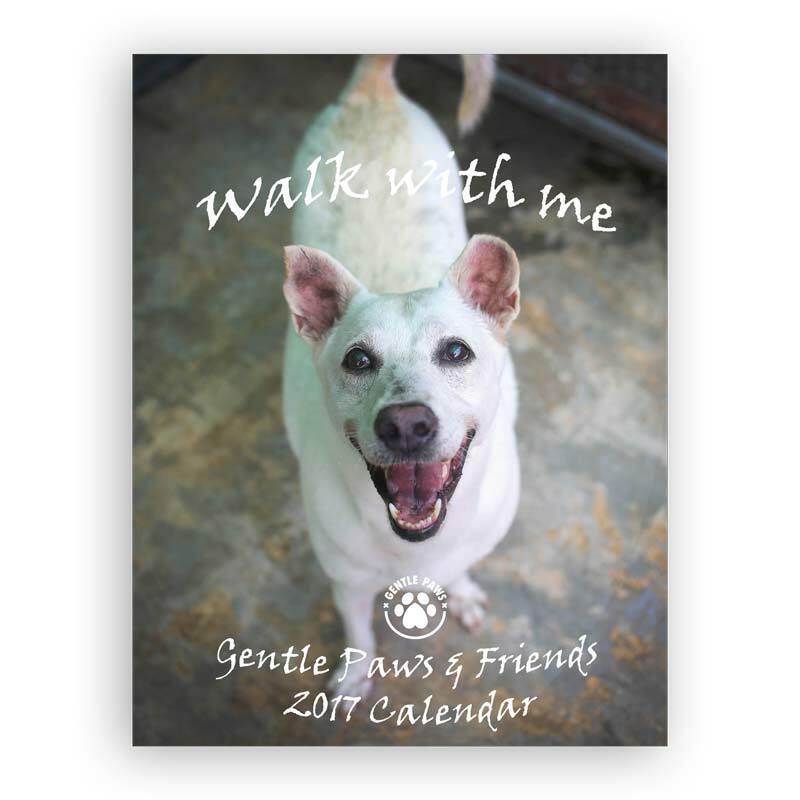 Our calendar sales is the main source of funds that keeps the shelter operating year after year. It measures 250mm in width and 185mm in height and would be just perfect for your desk top. Online purchases can be made here at Magasin Miyabi. The price will automatically include a postage fee of $1.50 for delivery within Singapore. If you purchase 10 or more copies, we will deliver the copies to you (within Singapore) free-of-charge. 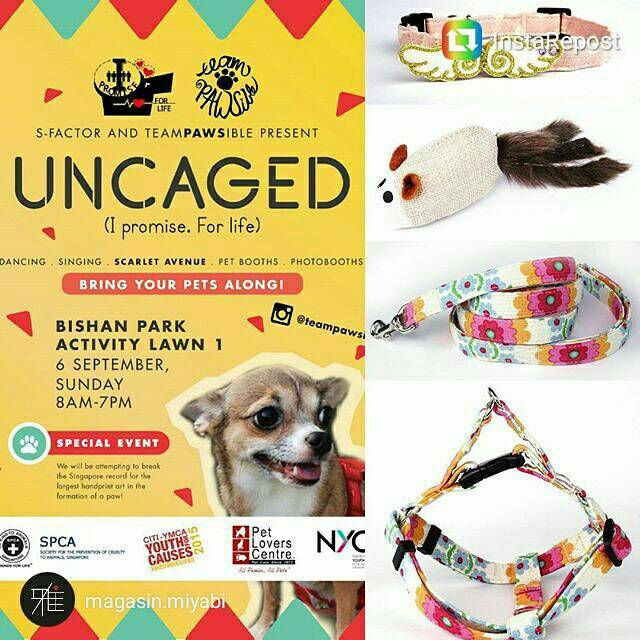 Please help us to spread the word! Thank you. [/vc_column_text][mk_button dimension=”savvy” corner_style=”pointed” size=”x-large” outline_skin=”dark” outline_active_color=”#ffffff” outline_hover_color=”#333333″ bg_color=”#ee4056″ btn_hover_bg=”#252525″ text_color=”light” icon_anim=”none” url=”https://miyabistore.co/store/humans/gentle-paws-2016-calendar/” target=”_self” align=”center” fullwidth=”false” button_custom_width=”0″ margin_top=”0″ margin_bottom=”15″]GET YOUR GENTLE PAWS CALENDAR HERE!